It’s a long way from her native Bucaramanga, Colombia — more than 2,000 miles, in fact — but Ana Inés King seems’ to be the kind of free spirit who is comfortable anywhere she goes. I met her at her beautiful Victorian home nestled in the trees of Western Hanover, and within minutes we were laughing and crying together like old friends. Over coffee, Ana shared her life story and some of the experiences that are most dear to her, including her work as the founder and artistic director of the highly-acclaimed Latin Ballet of Virginia. “Preserving authentic culture is the most important thing for me,” she tells me fervently. And they’re not just words. Ana lives out that statement, not only by preserving the history and culture of Latin America, but also by making that culture accessible to anyone who has a desire to learn. “Be proud of who you are and where you come from,” says Ana, demonstrating a vast and impressive knowledge when she speaks, frequently referencing historical figures whose colorful stories she is determined not to let fade. It’s obvious as she speaks that, despite her tiny stature, Ana’s heart and passion are truly larger than life. Ana speaks fondly of her life growing up in South America. Her family was artistic — her Grandma, a poet; her mother, a dancer; and her father, a surgical oncologist. Her eyes positively sparkle as she speaks proudly of parents who served everyone in their communities no matter an individual’s ability to pay. She later walks me through her home, showing me works of art she’s received as payment for dance classes. “This painting was given to me by a student in exchange for lessons,” she says, showing me a gorgeous portrait of a ballerina over her fireplace. “I just want to make dance accessible to all people.” In fact, over the years, Ana’s philanthropic work includes the Make-A-Wish Foundation, offering dance lessons at reduced rates or scholarships, and volunteering to speak in schools about dance and culture. Her mother, also a dance teacher, taught her flamenco, jazz and modern dance from an early age, and she later attended the Instituto Departmental de Bellas Artes of Colombia, where she studied scenery and costume design and earned a BFA in dance and choreography. She founded and was the artistic director of Santander Jazz Ballet in Colombia for 10 years. Moving to the United States in 1991 was culture shock for Ana, as it would be for anyone leaving family behind on another continent. But after falling in love with Richmond native William “Billy” King while he was traveling for business in Colombia, she moved to Virginia — which she describes as being “rich in history and pride” — to marry him. Ana still frequently visits her native Colombia, as well as Mexico, Spain and numerous South American countries. 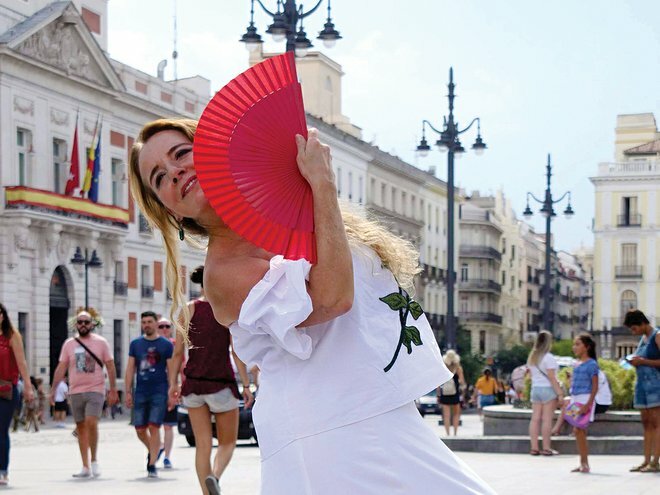 She plans to do this even into her retirement years, continuing to learn the newest flamenco techniques and to study Latin productions put on by some of the world’s best choreographers. 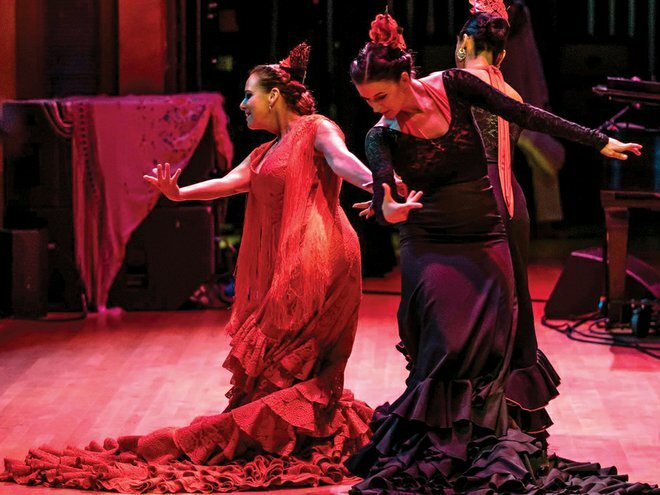 Billy, her husband of 27 years, is also a lover of travel and Latin culture, and a hands-on supporter of Latin Ballet of Virginia and each one of their productions. After moving to the U.S., Ana became a faculty member at the Virginia Commonwealth University Department of Dance and Choreography. Then in 1997, she founded the Latin Ballet of Virginia, teaching dance classes, directing the Latin Ballet’s professional company and designing costumes and choreography for their productions. She has received numerous awards for her work at the Latin Ballet. To name a few, in 2017, Ana was a Richmond Times Dispatch Person of the Year honoree for her continued commitment to the artistic community of Richmond, as well as a recipient of Style Weekly’s Women in the Arts Award. In 2015, she received the Entrepreneur Bridge Builder Award, presented by the Virginia Hispanic Chamber of Commerce for commitment to education and culture, and the YWCA Outstanding Woman of the Year Award for making the arts accessible to low income families, empowering youth and helping to keep Hispanic culture alive and vibrant throughout our community. In 2007 and 2008, Richmond’s Style Weekly named Ana as one of the “25 Most Influential Artists in Arts and Culture.” In Southern Living Magazine’s December 2007 issue, King was recognized as an “Ambassador of Dance and Culture” for her work with the Latin Ballet’s educational programs. In 2002, she receive the Hispanic Woman of the Year Award, presented by AT&T Broadband and CNN en Español for service to the community. She has also won numerous awards for her choreography, and her productions have been featured in a number of TV and award-winning films. Ana’s community affiliations resonate with her dedication to cultural arts, preservation of history and education — The Hispanic Chamber of Commerce, as the Director of Arts and Cultural Entertainment; The Community Idea Station, as a member of their advisory board; The Cultural Arts Center at Glen Allen, as the director of their resident dance company, Latin Ballet of Virginia; and The Richmond Center Stage, partnering with their educational programs. “I believe that the arts in education can save lives,” Ana tells me, “especially to minority and at-risk youth.” She hopes to eventually write a bilingual book to document Latin Ballet’s productions. Her hope is that one day this book will be used to provide multicultural education both for traditional and home-schooled students. Although Ana chatted easily with me both in Spanish and English, we laughed uproariously as she described one of her “Spanglish” moments, which are frequently experienced by people for whom English is their second language. In 2016, she received an invitation to be one of eight women whom the Library of Virginia’s Virginia Women in History program annually celebrates for their accomplishments in all walks of life. She set the invitation aside, thinking that she was invited as a guest. She described through fits of laughter how she did not realize until she arrived at the event that she was actually an honoree, and the first Latina to receive this award! Her eyes filled with tears as she described middle and high school students reading essays written about her and her life work. “I was overwhelmed with how just living my life had such an impact on so many people,” she told me, still seemingly surprised at how many have been touched by her work. As Ana regales me with a story of riding a horse with her daredevil granddaughter, it strikes me that even in her story-telling, she uses her body as her voice, demonstrating exactly what happened. And through fits of laughter, I realized that most grandmothers are not running non-profit arts organizations, directing and dancing in professional dance productions, fighting to keep history alive and struggling to support professional dancers on a sometimes very limited budget. But Ana’s youthful face as the glow of one who truly lives her passion. Watching Ana in her recent production of “Victor” at VCU’s Grace Street Theater, she held her own with ease among a company of professional college-aged dancers. To Ana, dance is life. “Community is at the center of everything we do,’’ she said. “Our community is an extension of our family and there is nothing more important than family. If I can make a difference to my shared community, I feel as though I have a reason for being.” Ana truly has created a legacy full of “reasons for being.” Mrs. Ana Inés King is a force to be reckoned with, and she lives out her philosophy, “Vivir cada día como si fuera el último” (live each day as if it were the last) with contagious enthusiasm.